Earlier this year I took an evening course at Simon Fraser University that was called, Contested Relationships between Humans, Ecosystems and Other-than-Human Animals. I shortened it to Humans, Animals & Other with SFU Professor, Stephen Duguid. What is Wilderness became a whisper shortly after our cohorts first discussion of Aldo Leopold’s, A Sand County Almanac. The diverse opinion’s and viewpoints regarding what wilderness is or isn’t, started a journey down a fascinating rabbit hole that has led to interesting existential, political and economic discussions involving eco and social psychology, religion, foreign policy and centuries of socioeconomic inequalities around the world. Professor Duguid and my cohort warned me that this was a very diverse and dense subject and that I should try to narrow this theme. If anything, it just keeps getting bigger. What was originally a dozen pages is now a twenty-page essay and growing weekly. This is an edited version from a recent symposium. Still, in an effort to provide a secure and definitive home for what is wilderness, I opened the door to more uncertainty and more questions trying to define what wilderness is or isn’t, how it came about and what we can do with it or for it as current events will certainly influence this subject. When humans enter a space for the first time that has only been enjoyed by other than humans, does that mean that the wilderness is gone? Or, as humans are we part of the larger ecosystem who share all of the planet with all that inhabit it, very much at home in wilderness regardless of where it is or who got there first? As cities spread out around the world, wilderness seems to be shrinking, and nature is unexpectedly asserting itself. Many animals are not just adapting to urban centres, but actually thriving and, biting back so to speak. Some urban trees grow faster than their counterparts outside of the city which seems to beg the question, is there an urban wilderness? If you were homeless and sleeping on the street what would be the difference to sleeping under the stars in an untamed forest? Finally, is wilderness a place or a state of mind that resides deep within each of us? 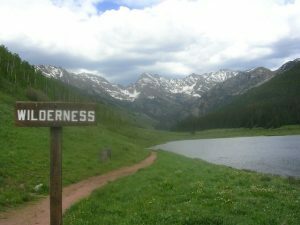 There are a number of viewpoints and definitions regarding what wilderness might be. One of those is from Gary Snider who writes in The Wilderness Condition that wilderness is a place where the wild potential is fully expressed, a diversity of living and non-living beings flourishing according to their own sorts of order. Aldo Leopold is considered an important wildlife and conservation figure in the US and one of many naturalists concerned about the welfare of nature and our planet. Leopold was concerned for what he considered the misuse of our planets natural resources and he felt protective of America’s wilderness. In Wilderness and The American Mind, Roderick Nash says, That for all of its benefits, designated wilderness areas might be regarded as a kind of “zoo” for land. Wilderness is exhibited in legislative cages, clearly mapped and neatly labelled. The unknown is known. Uncertainty decreases. So do risk and fear. Trails, shelters, ranger patrols, and search-and-rescue teams further compromise wilderness. Quotas, permits, lotteries, waiting lists, prescribed itineraries, and campsite assignments devastate the feeling of wilderness. In The Encyclical of Climate Change and inequality, Pope Francis wrote: Each year sees the disappearance of thousands of plant and animal species which we will never know, which our children will never see because they have been lost forever. The great majority become extinct for reasons related to human activity. As cities grow, wilderness becomes smaller and more exploited. Some simply believe that wilderness is a construct and that it only exists in the minds of humans. This seems like a paradox because mostly we tend to think of wilderness as places where there is an absence of human influence. Ironically, it would seem to make sense that in order for there to be wilderness, there needs to be humans in non-wilderness places defining what is wilderness and what it isn’t. One of people that first struck me outside of our required reading was Mary Catherine Bateson who wrote in Composing a Life, The self does not stop at the skin nor even with our circle of human relationships – but is interwoven with the lives of trees and animals and soil: that caring for the deepest needs of persons and caring for our threatened planet are not in conflict. As this wilderness theme widens, many believe that there are too many signs all around us of a society and planet in decline. Others are in denial in their busy lives and distracted by the changes taking place. Still, some believe that the technological advances that got us here will ultimately save us. Pope Francis, Carl Jung, Kelly Oliver, Freud and many others have written volumes about this. As species diminish and oxygen and natural resources including wilderness become scarce, it’s hard not to wonder how we have come to a place where we are destroying the very home that supports all of us, wondering if at this pace – we will ever recognize or care what wilderness is, or worse, what it once was. How do we make the transition from this apocalyptic scenario to a place of living in relationship with the rest of life? Hopelessness would seem a natural instinct however when I was speaking to students from UBC and SFU on my daily radio program, they were full of optimism and had a refreshing passion committed to saving our planet as well as each other. Each have a vision of a brighter future filled with social innovation and change, measured consumption of our natural resources, a growing respect for nature and all things living, and each with their own interpretation of wilderness. Whether this youthful optimism is enough for younger generations to avoid becoming super consumers like their parents and grandparents remains to be determined. Francis Fukuyama wrote The End of History in 1992. He believed that the worldwide spread of liberal democracies and free market capitalism could signal the end of humanity’s sociocultural evolution and become the final form of human government. He initially thought that the future would lack any exhilarating struggles believing that life would be “boring”. Meanwhile that same year, the United Nations hosted a “framework” convention on climate change where it acknowledged, “that changes to the Earth’s climate and its adverse effects are a common concern of humankind”. 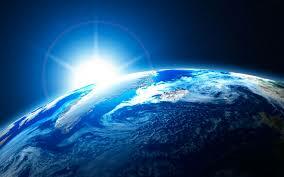 Aware of the role and importance in terrestrial and marine ecosystems the United Nations put the world on notice. It seems hard to believe that less than two decades later countries around the world would be uniting to save our home and protect our “wilderness”, or that a Pope would be leading the world for climate change. Ecopsychologists study wilderness and the relationship between human beings and the natural world through ecological and psychological principles. As they bump into the harmful use of fossil fuels, displacement of humans and animals, expansion and consumption beyond sustainability and the growing possibility of extinction, this expanding group of professional’s, academics, romantics and friends of the earth seek to develop and understand ways of expanding the emotional connection between individuals, animals and the natural world, thereby assisting developing sustainable lifestyles and solving the alienation from nature. Carl Jung puts this another way in The Earth has a Soul: Nowadays animals, dragons and other living creatures are readily replaced in dreams by railways, locomotives, motorcycles, aeroplanes, and suchlike artificial products… This express’s the remoteness of the modern mind from nature; animals have lost their numinosity; they have become apparently harmless; instead, we people the world with hooting, booming, clattering monsters’ that cause infinitely more damage to life and limb than bears and wolves ever did in the past. And where the natural dangers are lacking, man does not rest until he has immediately invented others for himself. Consider that our rainforests once covered approximately fifteen percent of the earth’s land surface and this natural resource is shrinking every year. Nearly half of the world’s species of plants, animals and microorganisms will be destroyed or severely threatened over the next quarter century due to rainforest deforestation. According to the World Wildlife Federation (WWF), it is estimated that we are losing approximately one hundred plant, animal and insect species daily. With wilderness shrinking around the planet, behavioral ecologist Bill Bateman in an interview with the Zoological Journal believes that the cities of the future may be where wild things are. As their natural homes disappear, many carnivores have rooted themselves in cities as a means of survival. 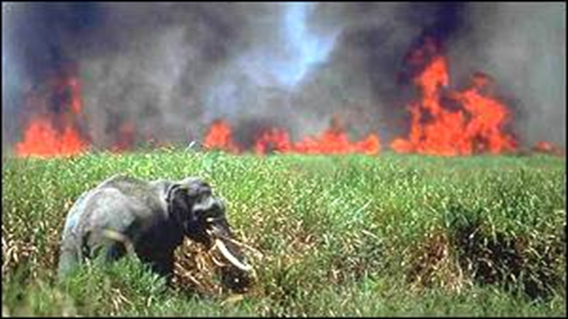 Have our animals become the new cast in a “Hunger Games” type of setting as we observe them being captured, tagged, computerised and watched 24/7, and then managed for the rest of their lives regardless of where their wilderness happens to be? If we are the audience, what can we learn from them as they attempt to teach us to be human? 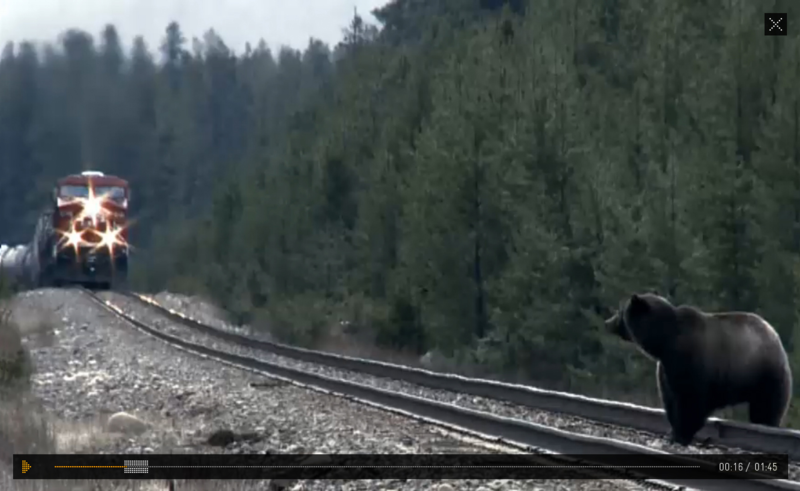 The National Film Board of Canada released a web documentary by Leanne Allison and Jeremy Mendes in 2012 about a grizzly bear in Banff National Park, who was collared at the age of three and watched her whole life from trail cameras in the park. “Bear 71,” explores the connections between the human and animal world and the far-ranging effects that human settlements, roads and railways have on wildlife. As cites expand into what was once considered wilderness, city trees grow eight times faster than their counterparts in rural areas. The speed of which current climate change is unfolding is making it increasingly difficult for humans and our natural world to adapt. As pointed out by Pope Francis and others, some of the world’s poorest and most vulnerable are already the most affected by global warming. Rising sea levels, droughts, floods, storms, heat waves and other catastrophic events are expected to disrupt food production and threaten wildlife and their habitat. The World Wildlife Federation states that Canada is poised to feel the impact of climate change first. By the end of this century, the Arctic will be a very different place. Temperatures here are warming faster than anywhere else on the planet. Even a slight shift in temperature could potentially result in an ice-free Arctic in this century. As the Arctic warms, it has less ability to cool the planet, posing a threat to the entire globe. 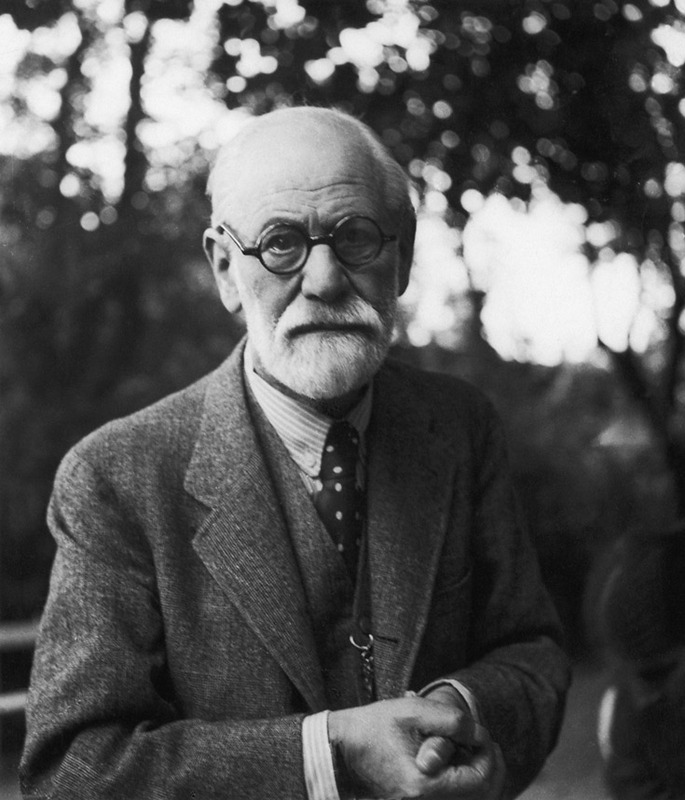 Sigmund Freud in Civilization and Its Discontents believed that the sum of our achievements and the regulations which distinguish our lives from those of our animal ancestors serve two purposes – namely to protect men against nature and to adjust their mutual relations. Freud suggests that the primal needs of community and civilization are largely responsible for society’s misery and, “that human predisposition to aggression is a consequence of this primarily natural hostility of human beings and as such, civilized society is perpetually threatened with disintegration”. 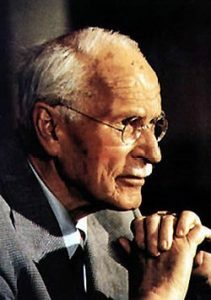 Freud goes on to say that “As men have gained control over the forces of nature to such an extent that with little help they would have no difficulty in exterminating one another to the last man”. Assuming Freud was over zealous with his comments and that humankind chooses another path, then, what is wilderness really? Is it in our mind or all around us? Are we better off in urban clusters with confronting signs of a society in decline or is there a call for something different, a call for change. As more animals become displaced, homelessness and placelessness has become epidemic in large urban centres for animals and humans alike. While animals search for abandoned buildings and cars as well as parks and alleys for safety and rest, where do our homeless go when shelters are full or are unavailable. Both human and animal interventions are on the rise as police and conservation authorities respond to more calls from displaced humans and animals every year. Our newly urban and unwanted wild, animals and human, seem to have a kinship as they are both victims of a social, economic system that marginalises and controls. The field of ecopsychology extends beyond the conventional purview of psychology, which had traditionally considered the psyche to be a matter of relevance to humans alone. Ecopsychology examines why people continue environmentally damaging behaviour, and to develop methods of positive motivation for adopting sustainable practices. Evidence suggests that many environmentally damaging behaviours are addictive at some level. Considering Freud for a moment, if civilisation and the loss of wilderness or our own wilding imposes such great sacrifice on humankind and our “aggressivity,” how can we ever be truly joyful if we have just traded our happiness for urban security. While discussions of denial and hopelessness prevail, at the 9th World Wilderness Congress in Mérida, Mexico, “WILD” in collaboration with other international organizations, governments and individuals, officially debuted Nature Needs Half, a social movement to protect and connect at least half of all nature on Earth, land and water, in order to support the existence of nature and the services it provides. To offer more hope, many Canadian provinces are exceeding WILD’s goals and Norway recently banned deforestation. Kay Milton shines a light in Loving Nature, towards an Ecology of Emotion: If human beings are truly a threat to life on earth, we shall have a better chance of reducing that threat if we understand as fully as possible the kinds of beings we are. As we come out of this rabbit hole, climate change, ecological and economic crisis, as well as social unrest, are all signs that our wilderness and our planet is in great distress. There is no shortage of material or opinions regarding wilderness, the many things that it can be, or its interconnectedness with our own spiritual and religious beliefs, domestic and foreign policy, or centuries of socioeconomic inequalities around the world. If it is nature and our personal definition of wilderness that allows us to realise that we are not the centre of the universe and that it helps us reconnect with the voices of our ancestors, can we get free from this trap of a modern world that is reliant on more technology to solve our problems? Is Freud right that it’s our loss of connection with the past and ourselves which has given rise to the “discontents” of civilisation? Can we learn to travel in this world and give equal consideration to human, animal and other – before more species slide into extinction, more forests and wetlands are obliterated, and more lives are destroyed from hunger, war and isolation. It would seem that consumption aspirations are going to have to change with a radical commitment to equality. As Pope Francis suggests, this will have to be a global initiative, which means the more highly developed countries will suffer the most in order for us to reach any kind of global equality. It saddens me when I see Great Britan and other countries building stronger borders to keep the world out. Finally, If loss and grief are gates to something better, perhaps we have seen enough – to stop and find the wildness and soulfulness in ourselves as we work our way from the abyss to save each other, animal and human, as well as our planet.